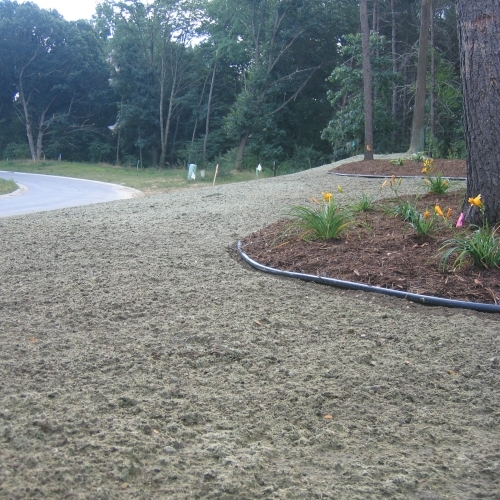 You can truly improve the quality of your lawn by utilizing hydroseeding. This is an application process in which water, seed, fertilizer and mulch are mixed together and then applied over prepared soil. The seed coverage is very thick and consistent. It requires less watering than other types of turf installation and it is much more resistant to disease. 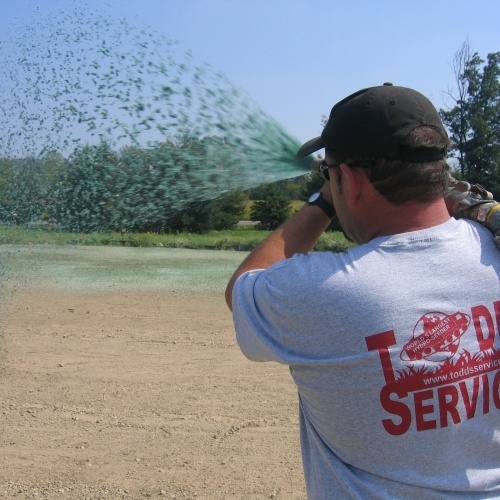 Additionally, the chances of erosion with hydro-seeding are much lower than with normal seeding. The planting season can extend from April to November in Howell, so give us a call if you have any questions for our company or fill out our quote request form today. My grass is the best looking quality in the entire neighborhood. Thank you so much!" We were given a lot of options with varying costs related which made for a "no pressure" situation. With each phase of our project, the work was completed in a timely manner and the area was prepped and cleaned up nicely. We appreciate the professionalism of everyone who is a part of Todd Service's team." They made sure I was satisfied with the work before leaving the job. Steve did a great job on the dozer." The crew was efficient, everyone worked very hard, and I would recommend Todd's to anyone who asks."